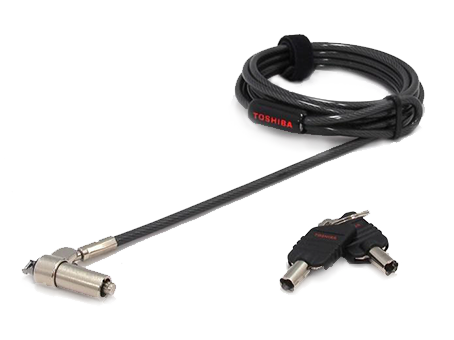 Perfect for the latest slim laptop models, the Toshiba Ultra Slim Keyed Cable Lock ensures that your device is safely secured. 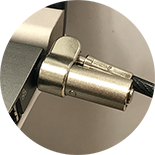 Ultra-compact 9.8mm zinc-alloy barrel head with superior durability to resist tampering. Suitable for ultra-slim laptops. 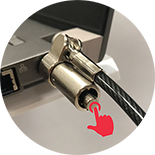 Lock your laptop easily just by pushing button, without using key.